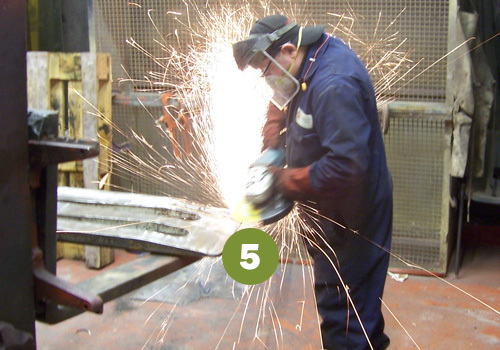 Detailed below is the inspection and repair process followed by Abbey's highly skilled and qualified engineers to ensure the customer receives the highest quality product. A thorough inspection and assessment of the unit is carried out in line with the manufacturers recommendations before strip down commences. 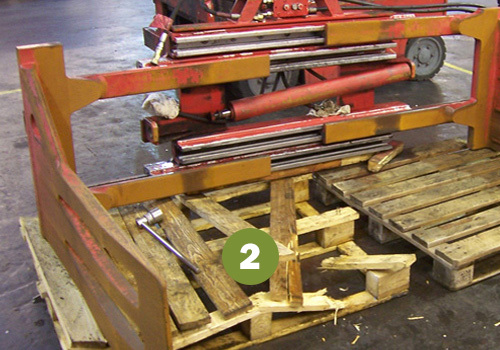 The unit is then completely stripped down and all components are checked and inspected for wear/damage. A physical examination of all load bearing areas is carried out. Any defects are rectified where applicable. 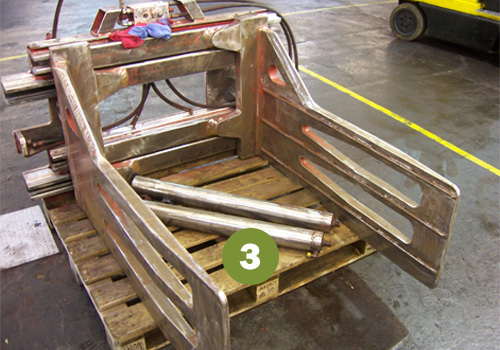 Cylinder bodies and rods are examined for any defects and replaced if necessary. 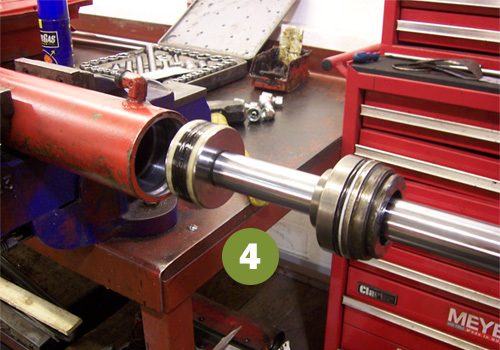 All bearings - Hydraulic Seals and Hydraulic Hoses are replaced where applicable. 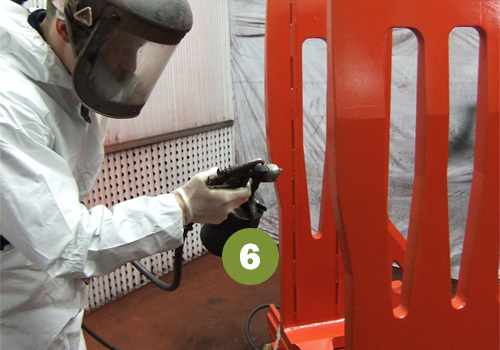 The attachment is then prepared for a quality repaint by firstly removing the existing paint, degreasing, then applying two coats of high quality industrial paint to give a durable and excellent looking finish. The unit is then subjected to stringent hydraulic pressure testing/ load testing in line with the manufacturers recommendations. 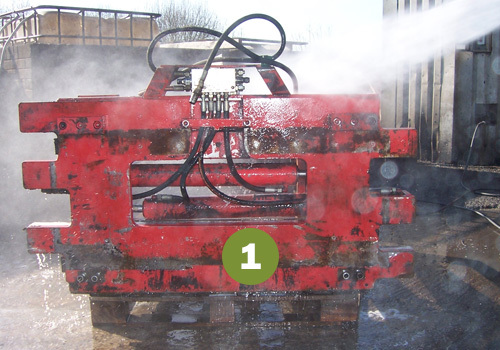 All attachments sold by Abbey are prepared to the highest standards within the industry and offer a quality cost effective alternative to new equipment. The equipment is prepared in line with the manufacturer's recommendations. © 2009-2017 Abbey Attachments Ltd. 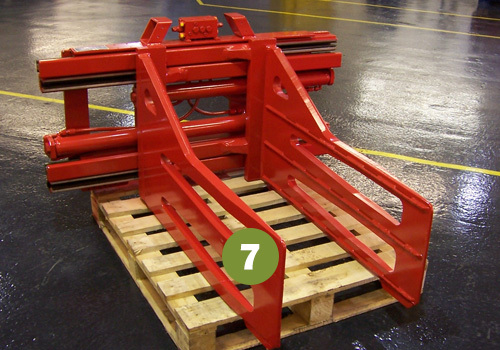 Specialists in Lift Truck Attachments.